Sydney: Afghanistan star leg-spinner Rashid Khan on Tuesday said cricket has changed everything in his terror-affected country while insisting that his team will give their best in the ICC T20 World Cup next year. 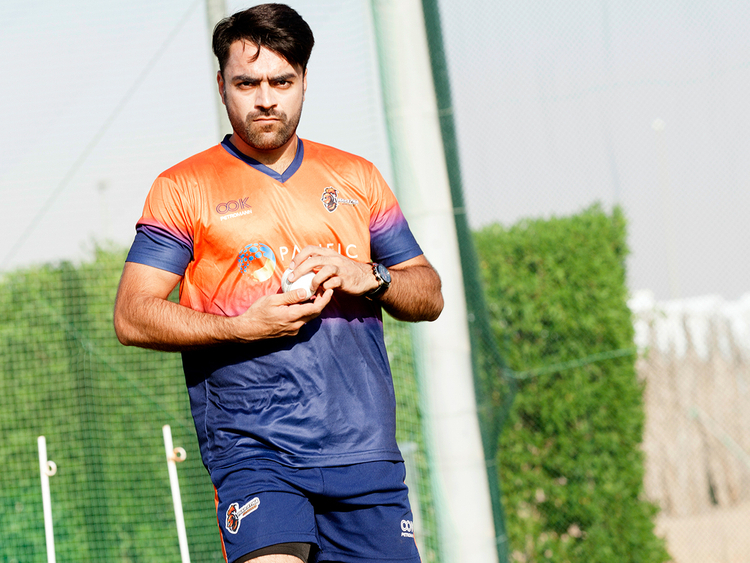 Rashid, the No.1-ranked T20I bowler, said that the young generation in Afghanistan follows the sport closely and backs the national team wherever and whenever it plays. Speaking at the announcement of the fixtures of the ICC T20 World Cup 2020, where Afghanistan has been pooled with the likes of India, England and South Africa in Group 2, Rashid said: "It feels good. People back home, they love cricket. It has changed everything in the country in the last five-six years." everyone's following cricket, they love it. It means a lot that Afghanistan is participating in the World Cup," Rashid said, according to an ICC statement. "(The fans) are loving it. They love the sport, they love cricket. (We players) just try and give 100 percent in each and every competition. Everywhere, we try our best to give something to the people back home. I know what is happening, so there is nothing else that can bring such a smile on their faces." "We - me, (Mohammad) Nabi, Mujeeb (Ur Rehman) - we just try and give our best in each and every game. The World Cup will be good experience. Can't wait for it," he added. The 20-year-old Rashid, who is also the top-ranked ODI all-rounder besides sitting in the second spot among the ODI bowlers, said that the backing he receives from his family inspires him to give his best in each and every match. "They are just watching it, it doesn't matter whatever the time is back home in Afghanistan," he said. "Everyone gets together and watches in one room. It feels really good and special, having good support from the family. They just keep following me. "When I was playing in the West Indies and the time difference was too much - matches were starting at 3 a.m. in Afghanistan - my mom was waking up and watching my game and praying for me. That is really special for me." "Before the game, she was calling me and telling me not to worry, 'just go there and enjoy yourself. Our prayers and support is with you'. That gives you a lot of energy and motivation. It's needed as a player," he added.